There's no getting around tracking mother nature's messiness into your entryway, especially this time of year. So with spring just a few days away, it's the perfect time to talk about entryway flooring. One thing we know for sure, is an entryway is bound to endure a lot of foot traffic, dirt, mud and moisture. For this reason, the well-used space requires a floor that is durable, easy-to-clean and naturally water-resistant. Tile, vinyl and laminate flooring are three great options for an entryway, fitting both the practicality bill and offering style. With today's advances in technology, vinyl and laminate floors can mimic the look and even feel of natural hardwood, ceramic or stone. Throw tile in the mix, and you have an expansive and varied selection of entryway flooring guaranteed to fit nearly any design style. 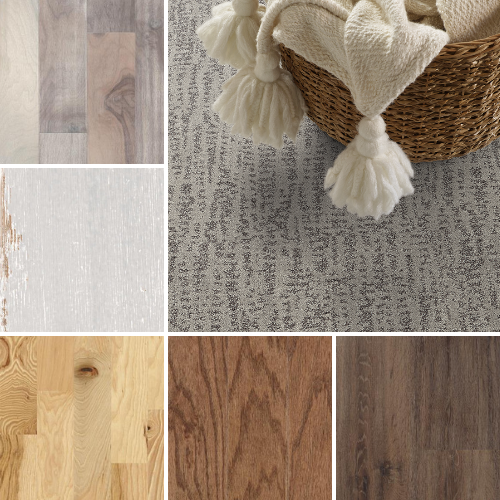 Pulling inspiration from two beautiful entryway interiors, we've produced flooring palettes that each include a tile, vinyl and laminate option. Continue reading for specifics on the products we've featured, as well as general information on the three flooring types. We have a feeling you'll be learning something new! FEATURED PRODUCTS - Are available through Carpet One Floor & Home. Click the links below to view additional details. 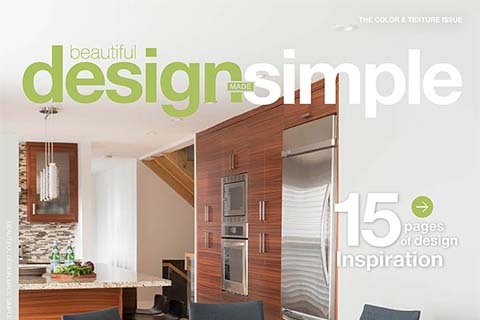 LEARN MORE - Visit Carpet One Floor & Home's, Flooring Simplified, your guide to tile, vinyl and laminate flooring.